What Does the Nativity Story Mean From a MetaSpiritual Perspective? 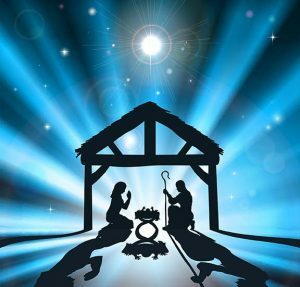 If you are looking for a spiritual or metaphysical interpretation of the people, places, and things related to the Nativity story, this is the blog article for you! We believe the Christmas story is our story. It is the drama of the birth of our awakening to the Truth that we are the Christ expressing at the point of us. Metaphysically, it represents a transformation in consciousness. It is a moment of enlightenment, an interior journey of the growing awareness of our unfolding Christhood. In this article, we provide a metaphysical snapshot of our spiritual unfoldment. Metaphysically speaking, all of the people, places, and events in the Bible represent qualities, traits, habits, and abilities within us. We hope you’ll like our MetaSpiritual treatment of the Christmas story. Christmas represents the birth of our awareness that the Christ Presence has expressed Itself as our Higher Self. And like Jesus — or any other awakened human being — we can grow into our conscious Christhood (Buddhahood, Krishnahood, etc.) by following the same inner compass enlightened beings use to find their way Home. We believe humankind’s unwillingness to embrace this truth has caused us to miss many opportunities for both inner peace and world peace. The majority of humankind has missed the true purpose of their lives— which is to be the best Christ (Buddha, Krishna, etc.) they can be. They’ve neglected the true meaning of Christmas. One of the most inconvenient spiritual truths of all time is this: The Only Begotten Son born in a manger to Joseph and Mary is the same Only Begotten Son born as our Higher Self in each of us. It is the Christ Presence (the One Reality) involuting Itself as our super-consciousness so we evolve (unfold) once again into our True Cosmic Nature! There’s also disagreement among Biblical scholars as to what time of year the nativity supposedly occurred – winter or spring. It’s not necessary for us to cover that controversy because, as we’ve mentioned above, the ‘virgin birth’ is a universal archetype of spiritual awakening that heralds the ‘initial birth’ of our realization that our True Nature is our Christ Nature (Divine Nature). So, once we are truly dedicated to our spiritual growth and enlightenment, the ‘virginal awareness’ of our Divine Nature can come at any time of the year! Wise ‘Men’: The esoteric knowledge and superior spiritual insights that make us open and receptive to our Christ Nature. (Eastern traditions say that there were at least 12 magi and that they came from all over the East, the Mid-East, Europe, and Africa. Magoosheh is the Aramaic word for ‘magi.’ Its root derives from the Babylonian and Persian word magno which means ‘receptivity.’ We get our words magnetic and magic from those derivations. The wise men - and women – represent our alchemical, astrological, scientific, psychic, mystical and prophesying natures). East: Our innate Divine Nature, Higher Self, our super-consciousness, our Spiritual IP Address (the ancient Garden of Eden). Frankincense: Its physical expression is incense. It symbolizes insperiences like: affirmative prayer, meditation, positive affirmations, visualizations, mantras, mystical experiences, etc. Myrrh: Symbolizes letting go of anything which no longer serves our highest good. It reminds us to let negative, self-defeating thoughts, attitudes, habits and behaviors die so we better align ourselves with our Divine Nature. Immaculate Conception: When our intuitive intelligence, love, and receptivity to our innate divinity are raised to their highest and purest spiritual essences, we immaculately conceive a pure, inviolate Christed Idea. Nativity Event: When we reach a certain stage of spiritual development, our divinely-inspired intuitive abilities spring into action (immaculately conceive) because of our new born Christ awareness (virgin birth). As you meditate on this interpretation of the people, places, and things associated with the Nativity, what does Christmas mean to you? Scroll down to the “Leave a Reply section, and share your 1-2 sentence description of the meaning of Christmas, from your heart! Blessings for a Merry Christmas!